Fedora 28 Beta got released to public today. This increment comes almost a week late than was originally planned. Like several other point release distros, Fedora also has a six-month development cycle, typically offering new versions in May and November. Let’s take a look at the Fedora 28 development and release date schedule. With around a month around the corner, Fedora 28 is already looking solid and stable considering how stable is the Beta build is which we tested. Earlier we published this article “what’s new in Fedora 28“, in which you see the latest GNOME package included in it. GNOME 3.28 with its 10 best features is a great reason for upgrade from Fedora 27 to Fedora 28. 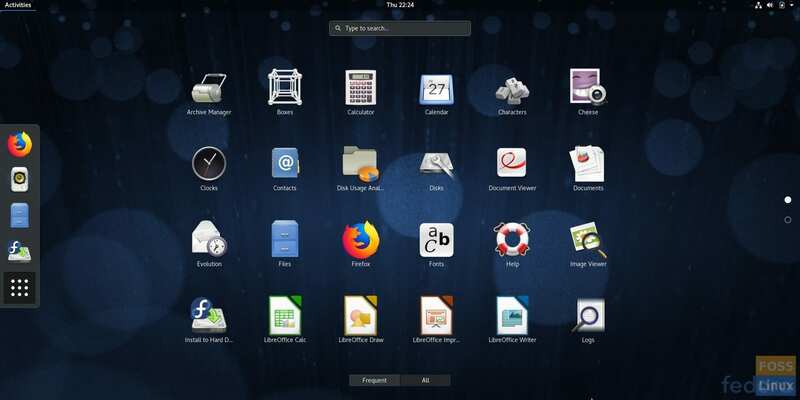 If you are a GNOME fan, then Fedora is one of the best distros to experience pure GNOME on your desktop. Does that excite you enough to test drive Fedora 28? You can grab the latest beta copy and create a live USB drive. 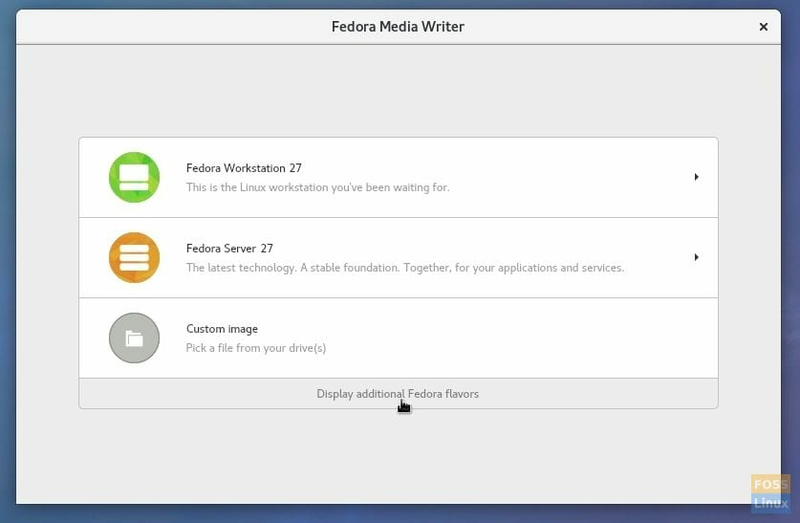 If you are running Fedora on your system already, I would recommend using Fedora media writer app to create the live USB drive. Step 1) Plugin a USB flash drive of minimum 6GB capacity. The flash drive will be erased completely and formatted during the process. Make sure the flash drive is mounted. Step 2) Go to “Activities” > “Software”. Step 3) Look for “Fedora Media Writer” in the search box, and then Click “Fedora Media Writer”. Step 4) Install the app, and launch it. Step 4) Click “Custom image”. Step 5) On the Custom OS page, select the “Select Live ISO” button, and select the ISO image you downloaded.Step 6) Click “Write to disk” and wait for the process to finish.That’s it! Windows users can use Rufus to burn the ISO file. Check our detailed guide on how to create the Fedora live USB in Windows. Ubuntu's most advanced version, Ubuntu 19.04, is released officially today. April 11th is when Canonical, the company behind Ubuntu finally froze the version, which is the last stage in the development process. At this stage, only the critical bugs will be fixed before the official release to the public.